Within minutes, you can order online from Winkflash. 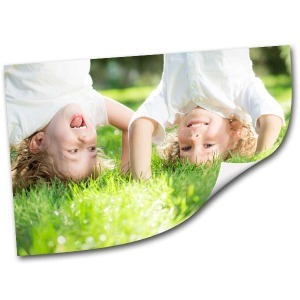 Whether your looking for 4×6 prints to fill up an album or you need large photo poster prints, Winkflash makes photo processing simple, convenient and fun no matter the printing project. From DIY mothers who add family memory photos to scrapbooks and albums, to grandmothers who collect personalized albums so they can watch grandchildren grow. If you’re looking to print cheap photos of the highest quality, then look no further than Winkflash. We make online photo developing simple and easy, no matter the printing project. Photo Printing online can be intimidating at times. There are so many sizes and so many options to choose from! Finding the cheapest photo prints online or even figuring out how to get print digital photos online can sometimes be confusing. Unlike other photo printing sites, Winkflash makes customizing your order simple! Print pictures online by looking through our print size listing. Then, upload your pictures and decide which ones you want. Afterwards, you just need to decide whether you want them in matte or glossy! Whether it’s 8×10 prints you need or a photo enlargement, Winkflash has you covered. If you’ve been searching for cheap online prints, but don’t want to sacrifice quality, Winkflash is your go-to site for photo processing. When it comes to price, we offer the cheapest photo prints around. Maybe you want to order some 4×6 prints for your family photo album or you have an amazing vacation photo that would look stunning on one of our 16×20 photo prints. No matter the occasion, Winkflash is the perfect site to order photo prints online with ease. You can see our latest print sale by signing up for our email list here. Don’t miss out on this opportunity to get the cheapest photo printing online! And remember, just because you can get the cheapest prints online on Winkflash, does not mean that these prints are lower quality. They are made with real silver-halide and come out as very vibrant prints. Just another reason for you to get your digital prints online from Winkflash! From cheap 5×7 photo prints for your family photo album to 16×20 family photos for framing, Winkflash has all of the printing options you need for any photo printing project. We offer the widest range of photo print sizes in matte, glossy and even metallic print finishes with some of the cheapest print pricing around. 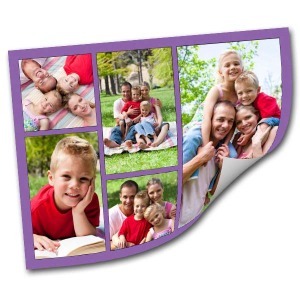 We use archival photo papers so your pictures will not fade. Our high-quality prints and low prices are why we’re one of the premier photo developing sites around! Do you take most of your photos on your smartphone’s camera? You’re not alone! Most of our customers love taking pictures on their smartphone and then getting them printed at Winkflash. Online picture printing can be daunting at times, but on Winkflash we make it easy to print 4×6 prints, 12×12 prints and even wallet prints! Our wallet prints are mini photo prints that can be easily carried in purses or wallets and come in sets of 4 so they can easily be given to others. 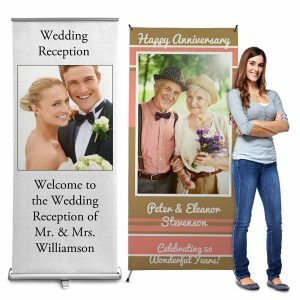 Many customers recommend Winkflash to their friends for their online picture printing because we offer so many print options. If you have some photos you would like to get printed from your phone, try ordering some 5×7 digital prints! So what are you waiting for? 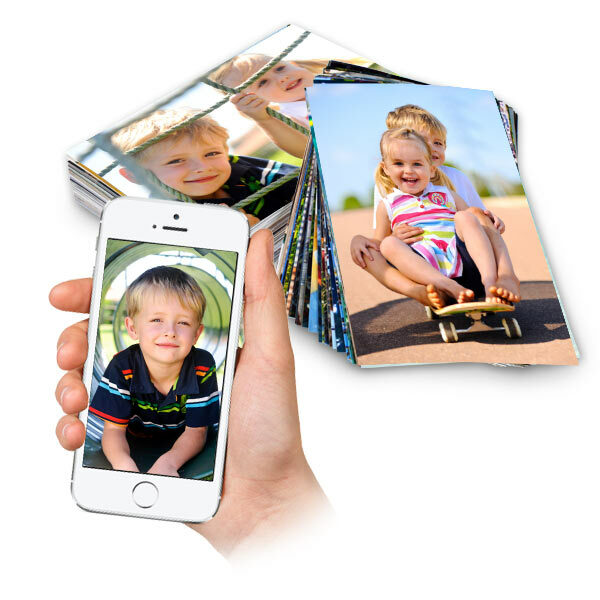 Print photos cheap with Winkflash, and enjoy the highest quality results to preserve your Android and iPhone photos. Our customers love ordering 4×6 photo prints from us because our online photo print prices start at just 8 cents each with our prom code Sixty! Winkflash is where you will get the best price on photo prints! Our costs are so low that they are practically free. You can also look on our deals page to find the best deal on photo prints. Additionally, we have a wide range of enlargement sizes including classic 8×10 print or even 24×36 poster prints so your photo is printed to make a big statement. In addition to customized options and cheap prices, our photo prints are easy to order. To begin, simply upload your photos to Winkflash from your computer or phone. Accessing your photos from your My Photos folder is easy once you’ve logged into your account. Once you have created your album, just click on the photos you want to order and then choose the photo print sizes and quantities. Before loading your photos into the cart, you can custom crop each image to center your subjects or give your prints an artistic look. Need your photos fast instead of custom picture prints by mail? Our Same Day Photos app lets you print photos from your phone for 1 hour pick up at your local Walmart, CVS, Walgreens, or Duane Reade store. Download our CVS 1 hour photo app free and select photos on your iPhone or Android for printing at your local lab. You can then choose your print sizes and quantities before picking out the closest store near you! 1 hour photo printing is perfect for filling up your family album, framing a 4×6 of your favorite picture, or sharing your best photo graphic moments with family and friends. Printing photos from Facebook has never been easier! After logging into Winkflash, you can go to your photo album and select the Facebook option for uploading photos. Then, simply log into your Facebook account and import your images into Winkflash. From there, you can order prints or create a wide range of custom printed products and gifts that feature your favorite Facebook memories! From classic glossy 5×7 photos to stunning metallic photos, we have a range of options to choose from to customize your prints to your specifications. Print glossy photos for your favorite album and add white borders for a vintage look. We also offer matte prints, fine art photos, and more that you can select to make any photo printing project picture perfect. Whether it’s 4×6 photo prints or collage posters, Winkflash is the best site online for turning your prized memories into decor that you can showcase for years to come! No matter your style, we have a photo print option waiting for you to personalize with your treasured memories. Our peel and stick adhesive prints can be applied to any flat surface without the hassle of a hammer and nail. Our Instagram collage posters are a great way to showcase your social media moments will enhancing your decor with color. Or, you can simply print out pictures or enlargements and add them to an elegant frame to liven up a drab wall. Our cheap photo prints are a quick easy way to fill up your home with color and character that everyone can admire, year after year. Make a photo collage with a series of treasured photos to display on your wall! Sometimes, you might not have just one favorite photo, but a whole collection of them. Why not create a collage and showcase them together. With our collage photo print, you can select a layout and background to compliment not only your photos, but your interior decor as well. We have several sizes that are perfect for framing so you can fill up wall space in your foyer or a focal wall in your living room with one of our poster size collage prints. Upload holiday photos, vacation pictures, or your kids’ cutest snapshots and feature them together on professional photo prints for a personalized look to your home! Our metallic prints add a whole new dimension to any photo in your collection. With striking colors and contrasts to a pearlescent finish, our metallic paper photo prints make your pictures stand out. Winkflash has a whole range of sizes. Frame a metallic print to display on your bookshelf or brighten your favorite album with a print-out of your best vacation memory. Enjoy vivid, saturated colors with an artistic look. Our custom giclee prints are perfect for framing and transform your photo into a work of art! Choose from a variety of sizes and show off your treasured photos in a whole new way. Giclee paper makes your photos look like a painting with rich colors that can’t be replicated with a traditional photo. Digital photo printing is also perfect for your favorite social medial memories. You know how popular Instagram is with its cool square-sized photo display. 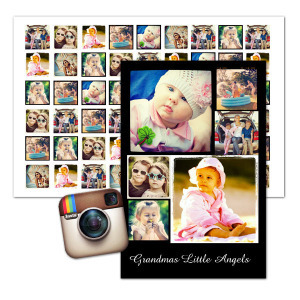 Why not order a square photo print? There’s something refreshing about this even-sided proportion. Whether you frame your square photos, order photo reprints to give as gifts, or decide to place square images into a photo album, we think you’ll love our vibrant ink pigments that make your photos clean and sharp. Brides use Instagram-inspired photos to set a theme at their bridal shower, wedding and even family rehearsal dinner. Clever moms-to-be adorn the gift and buffet table by scattering square photos as decor and conversation pieces. Some photos just deserve to go big — family reunion photos, the new puppy with the kids, little league soccer team portrait shots. You can order prints online in a snap! Our photo poster printing service allows you to enjoy your most cherished memories in a whole new way. Check out our collection of photo poster printing options here and take your memories up a notch. Perfect for any focal wall in your home, our extra large photo prints look great framed, filling up any room with color and character. Have a great digital photo? Order photos in a variety of large format sizes including a classic 24×36 poster enlargement. Winkflash large size photo reprints are perfect if you’re looking for the cheapest online photo printing with the highest quality standards. Frame it, hang it, mail it, share it. Order your digital photos online from your computer or mobile device. Our photo poster printing option is a great way to make your best pictures stand out. With our 20×30 and and 24×36 print sizes, you can frame them for display in your home or create a fabulous gift for friends and family. Don’t let that favorite pet photo or vacation memory linger on your phone or hard drive. Celebrate it on a high quality enlargement for everyone to enjoy. *Prefer a classic narrow white border around your photo? Be sure to add that margin to your file (using photo software) before you upload. Save your hard earned money and order cheap photo prints online. Sign-up for the Winkflash newsletter to receive all sorts of discount photo coupons and cheap photo print offers. Extremely fast response to a message I sent about an issue I had with my order. They made it quick and easy to get a new print ordered. I have been a customer for at least 10 years. First purchase was one of your photo books with photos of my trips to Alaska, Hawaii and Washington DC. I have made many more since that initial one and never been disappointed. I do miss being able to order the 100 page books for the one low prices you had back then. I realize prices increase, but even with the 50% off it is quite a bit more now and the books have a maximum of 50 pages only. I have ordered prints as well and have been very satisfied. But the books have been the most popular item you have for my family and friends. I like the books because all the photos are in one place and not scattered everywhere and I try to place them in order, with a brief description. I take many photos when I travel and I am glad to see you back in business, after your absence. Haven’t gotten back to the books from my latest trips, maybe I will get caught up someday. Thanks for your good service and reasonable prices. Great, prompt customer service! I ordered photo Christmas cards and on one picture on the edge of the card, my dog’s head was cut off. I was really disappointed and let Winkflash know. I got a response within a few hours stating that a full credit had been placed to my account for the cost of the cards. I am not thrilled with the initial blunder, but very pleased with their willingess to make it right! I am extremely happy with the service I have received from Winkflash. They responded super quickly to my questions and resolved an issue very promptly and professionally. My photos look great! I would use them again and recommend them to my friends. I’ve been dealing with Winkflash for years and have been totally satisfied. The quality of their prints is amazing, and their customer service team has been more than helpful with any issues that I’ve had. The process is easy to navigate through, and the turn-around time is excellent. I’ve recommended Winkflash to friends and family without hesitation, and I intend to be a life-long customer. Thanks for a great job Winkflash! Thank you for helping me today with my order. Your response was so prompt and so helpful. I really appreciate you going the extra mile to help me today! I have been using WinkFlash for years and highly recommend them! It’s a great place to store my photos and the prints are of exceptional quality. The turnaround print time is great and their customer service representatives get back to you very quickly. Great place to keep your precious photos and then have them printed. Definitely recommend WinkFlash! Absolutely the best customer service I have ever had from anywhere online. Seriously, the Winkflash Team gets nothing but gold stars in my book. And the quality of their prints is top notch as well. I’ve had an account for over 6 years and recommended them to tons of people. Great job Winkflash! I’m very pleased with the quality and clarity of the photos. I had an issue with one order and they took care of the problem in an instant. I love Winkflash and will recommend it to everyone! I have been using winkflash for 10 year. They always have great prints at a fair price, wonderful sales to take advantage of, and good customer service as well. I would highly recommend winkflash! 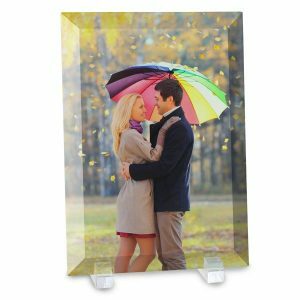 This is the best photo printing website I have found. I love how easy it is to use and the quick turnaround on digital prints.